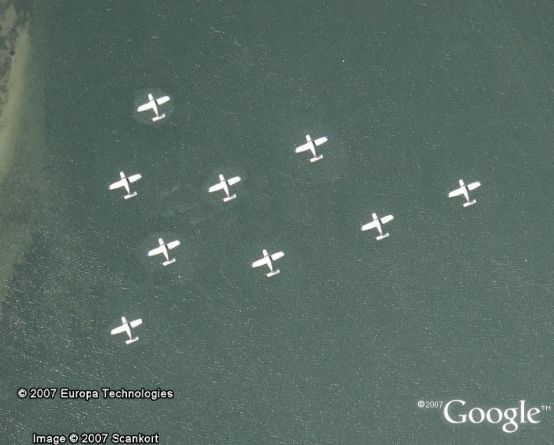 Google Earth Blog: Nine Planes in Formation - Faked in the Google Earth Database! It may be another case of a "copyright trap" that the image provider added to the image. This way, they can tell if someone other than the licensed user (Google in this case) is using the same data. There was a discussion about "made up roads" in the commercial road networks that serves the same purpose.